This is the fifth in a series of posts where we will take a look at five players the Toronto Maple Leafs could potentially pick at the upcoming 2017 NHL draft this week. 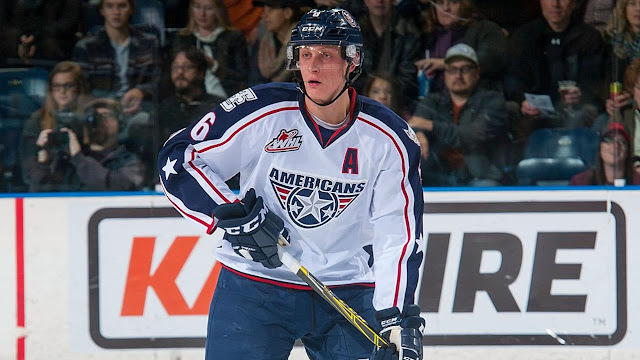 In the previous post, we looked at Juuso Valimaki, a defenseman playing for Tri-City Americans, as a possible player for the Toronto Maple Leafs to pick on June 23rd. For the final article in this series, we will shift gears and focus on a player that has quietly put together a strong season in his draft year and has the potential to be one of the sleeper picks of the draft. 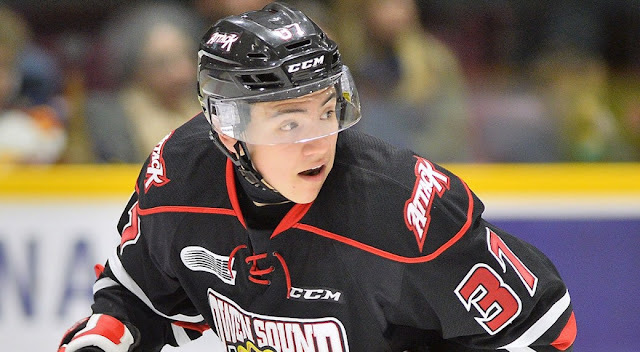 Nick Suzuki, a center for the Owen Sound Attack, is the player in question, and should be of interest for the Leafs should he be available at the 17th spot in the draft. This is the fourth in a series of posts where we will take a look at five players the Toronto Maple Leafs could potentially pick at the upcoming 2017 NHL draft this week. In the last post, we looked at Erik Brannstrom, a defenseman playing for HV71, as a possible player for the Toronto Maple Leafs to pick on June 23rd. Over the past few years, there is always that one player on draft day that doesn't get selected where many scouts predicted he would end up. Seth Jones and Jakob Chychrun are two recent examples and Juuso Valimaki, defenseman of the Tri-City Americans, might be the next player added to the list. If he is available when the Leafs pick at 17th, they should not hesitate to draft him.